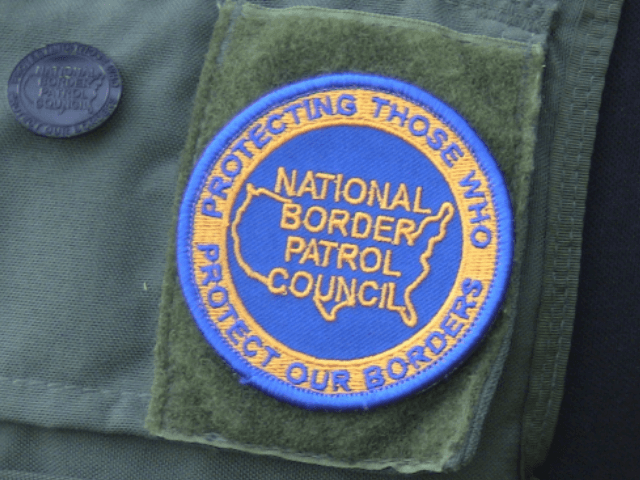 Editor’s Note: This Op-Ed was exclusively provided to Breitbart Texas by the executive board of the National Border Patrol Council, the organization representing approximately 16,500 of our nation’s Border Patrol agents. Approximately 6 months ago, CBP Commissioner Gil R. Kerlikowske officially announced the hiring (appointment) of Mark Morgan, one of the Obama Administration’s top risers within the FBI. Morgan is the same FBI Agent that a number of congressional offices believe “scrubbed” FBI training manuals of information that would have been damning to the agency and the Administration. Chief Morgan is a disgrace to the Border Patrol. According to Commissioner Kerlikowske, the Border Patrol needed a culture change, so instead of hiring the most qualified applicant — the one that congress had confidence in and who had already started the culture change — the commissioner went outside the organization and “appointed” Mark Morgan. Morgan, who loves to flaunt his FBI credentials, was arrogant enough to push a great leader, manager, and citizen aside to feed his own ego and personal interest. In reality, and if his first 6 months are any indication, he is in over his head and doing nothing but running scared. On September 13, 2016, House Committee on Homeland Security; Subcommittee on Border and Maritime Security held a hearing entitled “Moving the Line of Scrimmage: Re-examining the Defense-in-Depth Strategy.” Chief Morgan and NBPC President Brandon Judd were asked to testify. Agent Judd was supposed to sit on the same panel as Chief Morgan, but CBP refused to make Morgan available unless he testified on his own panel. CBP and Morgan were worried Agent Judd would come off as more credible, knowledgeable, and polished. Morgan testified by himself and proved both his and CBP’s worries correct. He came off like a robot, stuck to the administration’s line, and refused to give meaningful answers. Today, November 30, 2016, Morgan testified before the Senate Homeland Security and Government Affairs Committee. During the question and answer session, Senator Carper, the ranking Democrat who has advocated for the legalization of all persons who are in this country illegally, stated that he believes the fix to the border security problem is comprehensive immigration reform. Chief Morgan, the head of the Office of Border Patrol who by law is supposed to stay politically neutral, and who is not supposed to advocate for partisan legislation, agreed with Senator Carper by stating that the Border Patrol supports comprehensive immigration reform. This is directly contrary to the voice and will of the vast majority of the Republicans elected to Congress. It is also directly contrary to President-elect Trump’s comments while on the campaign trail. NBPC President Brandon Judd and his team worked diligently to set up a press conference after the hearing to discuss the merits of Morgan’s testimony. Agent Judd, however, was notified a few days ago that his appearance would be required to speak with an OPR Investigator as a witness regarding a matter of menial importance. This interview, which the agency refused to re-schedule ensured Agent Judd wouldn’t be able to be present at the hearing or the press conference. Morgan is worried because he knows that his comments attacking President-elect Trump’s border security policies prior to the election has him in hot water and his position as the Chief of the Border Patrol is tenuous at best. 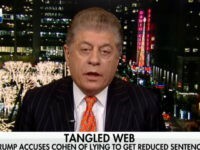 Because of such he did everything in his power to ensure Agent Judd was unable to be in DC when need be to dispute his testimony. Morgan — a hand picked Obama Administration official — does not have the will necessary to secure the border for the citizens and legal residents of this country. Brandon Darby is managing director and editor-in-chief of Breitbart Texas. He co-founded the Cartel Chronicles project with Ildefonso Ortiz and Stephen K. Bannon. Follow him on Twitter and Facebook. Ildefonso Ortiz is an award winning journalist with Breitbart Texas. He co-founded the Cartel Chronicles project with Brandon Darby and Stephen K. Bannon and you can follow him on Twitter and on Facebook.